Did you know the Desert Palms Hotel is located about 45 minutes away from exciting Los Angeles! If you have a vehicle you can tour the historic and interesting spots yourself, but any resident will tell you, traffic and parking can be a nightmare in the city. A time and stress-saving alternative you might want to consider would be to book a Los Angeles Day Tour. Lux Bus America, a company that we work with at our Front Desk, offers daily sightseeing tours to LA. The best of which being the, rightly named, “Best of Los Angeles: LA, Hollywood, and Beaches Tour. 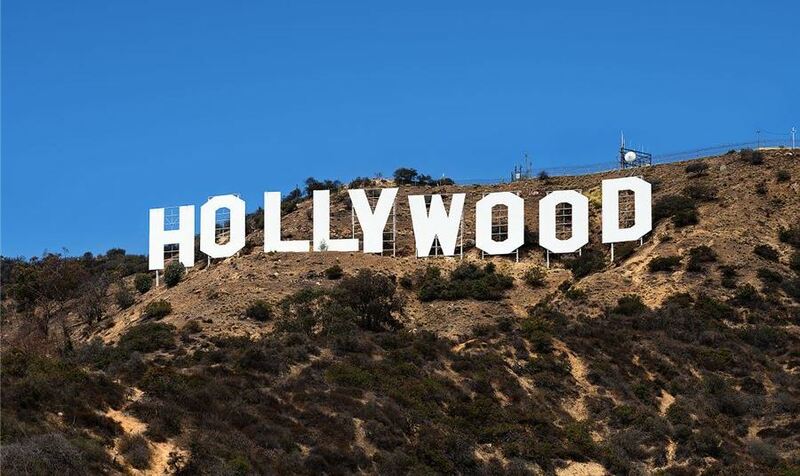 You can walk and explore these famous landmarks such as Hollywood Blvd, the Dolby Theater, The Chinese Theater, The Hollywood Walk of Fame, and the El Capitan Theater. Your tour will also include seeing some other city highlights which include: Beverly Hills, Fox Studios, Paramount Studios, Sunset Blvd, and Historic Los Angeles. Don’t forget there’s beach time! You can choose to spend your time at the famous Venice or Santa Monica Beach. Want to see even more during your visit? You can add the Movie Stars Home Tour to this tour as well. Experience the lifestyles of the rich and famous up close and personal with this 2-hour addition. Ask a Friendly Front Desk agent how you can reserve during your stay here!